skirt: topshop (similar) // shoes: steve madden // top: H&M (similar) // clutch: Mimic Designs // heels: simliar at Madewell Ok guys, you saw Wednesday’s post. So let’s get your votes. Which styling do you like best? Do you fancy the simple look with leopard slips? Or the dressed with version with blue suede heels and wide brimmed hat? 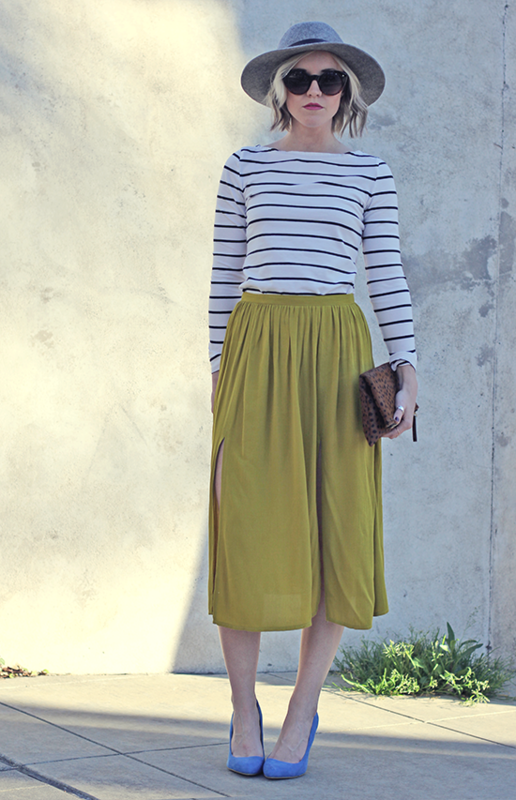 I feel very Blair Eadie from Atlantic Pacific in this version which is pretty much always a good thing. My apologies for the grandma vein feet here. Wowee does that mean I need some sun or what?! So you’ve seen two ways to style this look. If you missed Tuesday’s look, see here. Now please vote on your favorite! 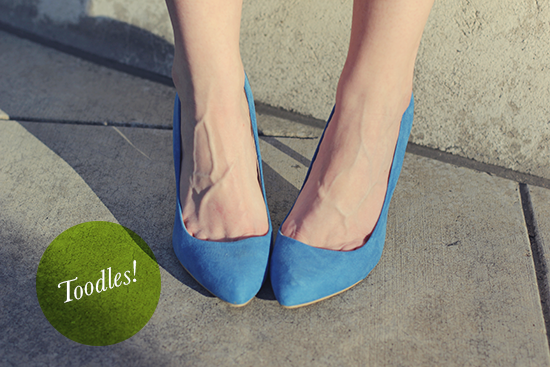 Laid back with leopard slip ons or dressed up with blue suede heels? I LOVE the colour of your shoes! I agree, very Blair like today, and that’s always a good thing! Have a great weekend. I CANT CHOOSE!! both looks are pretty great!!! love! both looks are gorgeous! but the dressed down look with the leopard accents is my fave!! I love them both but I really love the hat in this one! The blue pumps totally change the outfit! great combo. Btw I like this outfit the best. Love the color of the skirt! Blue shoes are such a surprising combo! Great outfit!